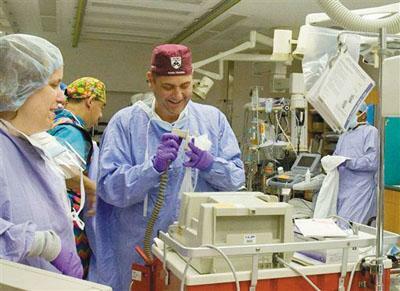 Dr. John Pryor, center, works in the University of Pennsylvania's trauma unit. Hometown: Moorestown, New Jersey, U.S.
Died: December 25, 2008 in Operation Iraqi Freedom. 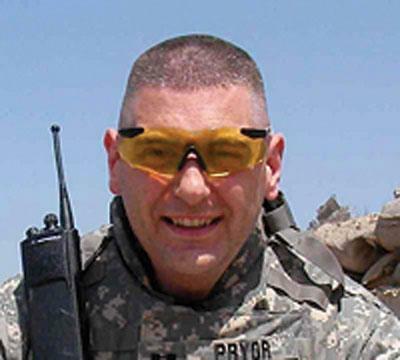 Unit: Army, 1st Medical Detachment, Forward Surgical Team, Fort Totten, N.Y.
Dr. John Paul Pryor was killed by enemy fire while serving as a Major in the United States Army Reserve Medical Corps as a battlefield surgeon during his second deployment. He was first deployed in 2006 as the sole trauma surgeon for the 344th Combat Support Hospital in Abu Ghraib Iraq. This second and last deployment was in 2008 with the 1st Forward Surgical Team located in Mosul, Irag. 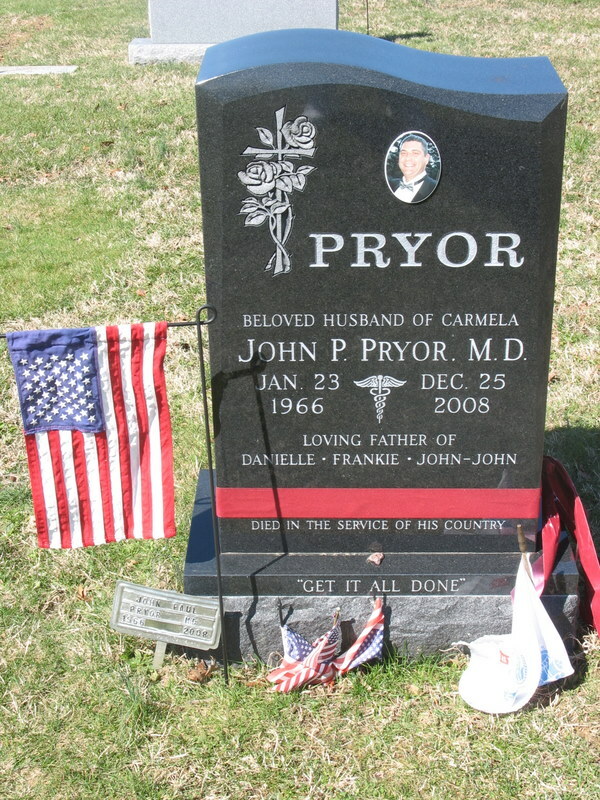 Dr. Pryor was buried with full Military Honors - his numerous military awards included the Bronze Star and Purple Heart. At the time of his death Dr John Paul Pryor was on Active Duty from his responsibilities as Trauma Program Director for the Trauma Center at the University of Pennsylvania Hospital and School of Medicine. Dr. Pryor was also the Director of the Office of Life Support education for the Division of Trauma and is an Associate Professor of Surgery at UPENN. Dr. Pryor was raised in the Albany, New York suburb of Clifton Park. An active member of Boy Scout Troop 30 he achieved the rank of Life Scout. He was certified in CPR when he was 14. At 17 he joined an ambulance corps in Clifton Park, NY, and at 18 he became a New York State Emergency Medical Technician (EMT). John graduated from Shenendehowa High School in 1984 and from the University of Binghampton in 1988. He attended St Georges' School of Medicine in Granada. 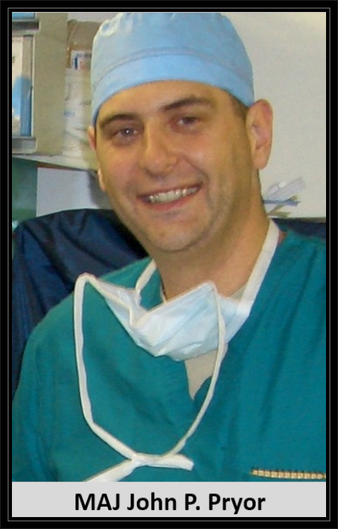 He completed Medical School and received his surgical training at the University of Buffalo. After fellowship training in trauma surgery and critical care at the University of Pennsylvania he joined the staff of UPENN. On Sept 11, 2001 Dr. Pryor immediately responded to the attack on the World Trade Center from his Hospital in Philadelphia. He spent that night on the "pile" assisting firefighters and first responder personnel. John wrote of his experiences as a surgeon confronting violence in Iraq and inner-city Philadelphia in articles published in The Philadelphia Inquirer and The Washington Post.